The 39 Steps is a 1935 British thriller film directed by Alfred Hitchcock and starring Robert Donat and Madeleine Carroll. The film is very loosely based on the 1915 adventure novel The Thirty-Nine Steps by John Buchan. It is about an everyman civilian in London, Richard Hannay, who becomes caught up in preventing an organization of spies called the 39 Steps from stealing British military secrets. After being mistakenly accused of the murder of a counter-espionage agent, Hannay goes on the run to Scotland and becomes tangled up with an attractive woman in the hopes of stopping the spy ring and clearing his name. The British Film Institute ranked it the fourth best British film of the 20th century. In 2004, Total Film named it the 21st greatest British movie ever made, and in 2011 ranked it the second-best book-to-film adaptation of all time. In 2017 a poll of 150 actors, directors, writers, producers and critics for Time Out magazine saw it ranked the 13th best British film ever. Filmmaker and actor Orson Welles referred to the film as a "masterpiece". Screenwriter Robert Towne remarked, "It's not much of an exaggeration to say that all contemporary escapist entertainment begins with The 39 Steps." At a London music hall theatre, Richard Hannay (Robert Donat) is watching a demonstration of the superlative powers of recall of "Mr. Memory" (Wylie Watson) when shots are fired. In the ensuing panic, Hannay finds himself holding a seemingly frightened Annabella Smith (Lucie Mannheim), who talks him into taking her back to his flat. There, she tells him that she is a spy, being chased by assassins, and that she has uncovered a plot to steal vital British military information, masterminded by a man with the top joint missing from one of his fingers. She mentions the "39 Steps", but does not explain its meaning. Later that night Smith, fatally stabbed, bursts into Hannay's bedroom and warns him to flee. He finds a map of the Scottish Highlands clutched in her hand, showing the area around Killin, with a house or farm named "Alt-na-Shellach" circled. He sneaks out of his flat disguised as a milkman to avoid the assassins waiting outside. He then boards the Flying Scotsman express train to Scotland. He learns from a newspaper article (read by a pair of women's undergarment salesmen) that he is the target of a nationwide manhunt for Smith's murder. When he sees the police searching the train, he enters a compartment and kisses the sole occupant, Pamela (Madeleine Carroll), in a desperate attempt to hide his face and escape detection. She frees herself from his unwanted embrace and alerts the policemen, who stop the train on the Forth Bridge. Hannay then escapes, hiding behind the bridge's truss. He walks toward Alt-na-Shellach, staying the night in the house of a poor crofter (farmer) (John Laurie) and his much younger wife (Peggy Ashcroft). The crofter becomes suspicious of sexual attraction between his wife and Hannay, spying on them from an outside window. In fact, Hannay has revealed his current predicament to the young wife and asked for her help. Early the next morning, the young wife sees a police car approaching and warns Hannay. She gives Hannay the crofter's dark coat so as to better camouflage him. Hannay flees across the moors and at a bridge he finds a sign for Alt-na-Shellach. The police, hot on his trail, fire several shots at him and even employ a Weir autogyro to chase him down. He eventually arrives at the house of the seemingly respectable Professor Jordan (Godfrey Tearle) and is let in by his maid after saying he has been sent by Annabella Smith. The police arrive, but Jordan sends them away and politely listens to Hannay's story after ushering out all his afternoon guests (including the local sheriff) visiting the house. Hannay notes that the man at helm of the group of foreign assassins and spies is missing the top joint of his ring finger. Jordan corrects him by revealing that the top joint of his (Jordan's) pinky finger is missing and thus he is the head of aforementioned group of spies. Jordan then shoots Hannay as he inches towards the door, and then (apparently) leaves him for dead. Luckily, the bullet is stopped by the crofter's hymn book in the coat pocket. This is revealed by Hannay to the local sheriff in his office (the same sheriff from the guests at Professor Jordan's). More police arrive when the sheriff reveals that he does not believe the fugitive's story since Professor Jordan is his best friend in the district. The police move to arrest Hannay, handcuffing his right wrist, but he jumps through a window and escapes by joining a Salvation Army march through the town. He tries to hide at a political meeting and is mistaken for the introductory speaker. He gives a rousing impromptu speech—without knowing anything about the candidate he is introducing—but is recognized by Pamela, who gives him to the police once more. He is taken away by "policemen" who ask Pamela to accompany them. They drive past the police station, claiming they have orders to go directly to Inveraray, but Hannay realizes they are agents of the conspiracy when they take the wrong road. When the men get out to disperse a flock of sheep blocking the road, Hannay escapes, dragging the unwilling Pamela (to whom he is handcuffed) along. They make their way across the countryside and stay the night at an inn. While he sleeps, Pamela manages to slip out of the handcuffs, but then overhears one of the fake policemen on the telephone, confirming Hannay's assertions. She returns to the room and sleeps on a sofa. The next morning, she tells him what she heard. He sends her to London to alert the police. No secret documents have been reported missing, however, so they do not believe her. Instead, they follow her. Pamela leads them to the London Palladium. When Mr. Memory is introduced, Hannay, sitting in the audience, recognizes his theme music—the annoyingly catchy tune, a tune he has been whistling and unable to forget for days. Hannay, upon recognizing Professor Jordan and witnessing him signal Mr. Memory, realizes that the spies are using Mr. Memory to smuggle the Air Ministry secret. As the police take Hannay into custody, he shouts, "What are the 39 Steps?" Mr. Memory compulsively answers, "The 39 Steps is an organisation of spies, collecting information on behalf of the Foreign Office of ..." at which point Jordan shoots him, jumps to the theatre's stage and tries to flee, but is apprehended. The dying Mr. Memory recites the information stored in his brain—the design for a silent aircraft engine—and is then able to pass away peacefully, saying "I'm glad it's off my mind." Next, Hannay's and Pamela's clasped hands are shown from behind; Hannay's handcuffs clearly visible. As they stand together at the side of the stage, their hands begin to touch. Now hand in hand, they watch as the hurriedly ushered-on chorus line dances to an orchestrated version of the Jessie Matthews song "Tinkle Tinkle Tinkle", while the image fades to black. The script was originally written by Charles Bennett, who prepared the initial treatment in close collaboration with Hitchcock; Ian Hay then wrote some dialogue. 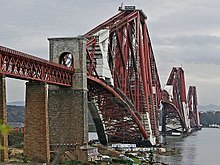 The film's plot departs substantially from John Buchan's novel, with scenes such as in the music hall and on the Forth Bridge absent from the book. Hitchcock also introduced the two major female characters, Annabella the spy and Pamela, reluctant companion. In this film, The 39 Steps refers to the clandestine organisation, whereas in the book and the other film versions it refers to physical steps, with the German spies being called "The Black Stone". By having Annabella tell Hannay she is travelling to meet a man in Scotland (and produce a map with Alt-na-Shellach house circled) Hitchcock avoids the coincidence in Buchan's novel where Hannay, with the whole country in which to hide, chances to walk into the one house where the spy ringleader lives. The 39 Steps was a major British film of its time. The production company, Gaumont-British, was eager to establish its films in international markets, and especially in the United States, and The 39 Steps was conceived as a prime vehicle towards this end. Where Hitchcock's previous film, The Man Who Knew Too Much, had costs of £40,000, The 39 Steps cost nearly £60,000. Much of the extra money went to the star salaries for Robert Donat and Madeleine Carroll. Both had already made films in Hollywood and were therefore known to American audiences. At a time when British cinema had few international stars, this was considered vital to the film's success. Hitchcock heard Scottish industrialist and aircraft pioneer James G. Weir commuted to work daily in an autogyro, and worked the aircraft into the film. Hitchcock had worked with Jessie Matthews on the film Waltzes from Vienna and reportedly did not like her very much, but as well as the fade-out music to The 39 Steps, he also used an orchestrated version of her song "May I Have The Next Romance With You" in the ballroom sequence of his film Young and Innocent. The 39 Steps is the second film (after the silent film The Lodger) in a line of Hitchcock films based upon an innocent man being forced on the run, including Saboteur (1942) and North by Northwest (1959). The film contains a common Hitchcockian trope of a MacGuffin (a plot device which is vital to the story, but irrelevant to the audience); in this case, the designs for a secret silent plane engine. This film contains an Alfred Hitchcock cameo, a signature occurrence in most of his films. At 6 minutes and 33 seconds into the film, both Hitchcock and the screenwriter Charles Bennett can be seen walking past a bus that Robert Donat and Lucie Mannheim board outside the music hall. The bus is on London Transport's number 25 route, which runs from Oxford Street through the East End and on to Leytonstone. As Glancy points out, this was familiar ground to Hitchcock, who lived in Leytonstone and then in Stepney (in the East End) as a youth. The director's appearance can thus be seen as an assertion of his connection with the area, but he was by no means romanticising it. As the bus pulls up he litters by throwing a cigarette packet on the ground.:p. 45 Hitchcock is also seen briefly as a member of the audience scrambling to leave the music hall after the shot is fired in the opening scene. The film established the quintessential English 'Hitchcock blonde' Madeleine Carroll as the template for his succession of ice cold and elegant leading ladies. Of Hitchcock heroines as exemplified by Carroll, film critic Roger Ebert wrote: "The female characters in his films reflected the same qualities over and over again: They were blonde. They were icy and remote. They were imprisoned in costumes that subtly combined fashion with fetishism. They mesmerised the men, who often had physical or psychological handicaps. Sooner or later, every Hitchcock woman was humiliated". In keeping with many of Hitchcock's films, key sequences are shot in familiar locations; in this instance Kings Cross Station, Piccadilly Station and a dramatic sequence on the Forth Bridge. Contemporary reviews were very positive. Andre Sennwald of The New York Times wrote, "If the work has any single rival as the most original, literate and entertaining melodrama of 1935, then it must be 'The Man Who Knew Too Much,' which is also out of Mr. Hitchcock's workshop. A master of shock and suspense, of cold horror and slyly incongruous wit, he uses the camera the way a painter uses his brush, stylizing his story and giving it values which the scenarists could hardly have suspected." Variety wrote, "International spy stories are most always good, and this is one of the best, smartly cut, with sufficient comedy relief." The Monthly Film Bulletin declared it "First class entertainment," adding, "Like all melodramas in which the hero must win the story contains a number of very lucky accidents, but Hitchcock's direction, the speed at which the film moves, and Donat's high-spirited acting get away with them and the suspense never slackens." John Mosher of The New Yorker wrote, "Speed, suspense, and surprises, all combine to make 'The 39 Steps' one of those agreeable thrillers that can beguile the idle hour ... Mystery experts will enjoy the whole thing, I think." It was voted the best British film of 1935 by The Examiner in a public poll. It was the 17th most popular film at the British box office in 1935–36. Of the four major film versions of the novel, Hitchcock's film has been the most acclaimed. In 1999, the British Film Institute ranked it the fourth best British film of the 20th century; in 2004, Total Film named it the 21st greatest British movie ever made, and in 2011 ranked it the second-best book-to-film adaptation of all time. In 2017 a poll of 150 actors, directors, writers, producers and critics for Time Out magazine saw it ranked the 13th best British film ever. The 39 Steps was one of Orson Welles' favourite Hitchcock films, and of it he said, "oh my God, what a masterpiece." In 1939, Welles starred in a radio adaption of the same source novel with The Mercury Theatre on the Air. The film currently holds a 96% approval rating on review aggregator website Rotten Tomatoes, based on 45 reviews with an average rating of 8.8/10. The website's critical consensus reads: "Packed with twists and turns, this essential early Alfred Hitchcock feature hints at the dazzling heights he'd reach later in his career." Due to overlapping changing in British copyright law, the film never fell into the public domain in the UK, and is now due to expire at the end of 2065, 70 years after Charles Bennett's death. In countries that observe a 50-year term (e.g. Canada, Australia, etc. ), it will expire at the end of 2032. In the United States its original 1931 copyright registration was not renewed after the initial 28-year term, and thus it fell into the public domain there. As a non-US film still in copyright in its country of origin, its US copyright was automatically restored in 1996, with a term of 95 years from release, that will therefore expire at the end of 2026. Despite this, there are versions of the film on the internet continuing to leak online. The rights to the film are currently owned by ITV Studios, while the film is distributed in North America by Metro-Goldwyn-Mayer. Hitchcock's film version of The 39 Steps was adapted as a radio play on Lux Radio Theater on 13 December 1937, starring Robert Montgomery and Ida Lupino. Herbert Marshall starred in an adaptation of The 39 Steps on Suspense on radio, on 3 March 1952. The 1978 film The Thirty-Nine Steps, starring Robert Powell and John Mills, is a version closer to the plot of the book. The West End and Broadway stage comedy The 39 Steps, first premiering in 2005, is adapted primarily from the plot of the Hitchcock film, and serves as a parody of the film. The 39 Steps was remade by the BBC in 2008, starring Rupert Penry-Jones, Lydia Leonard, Patrick Malahide and Eddie Marsan. In the Sesame Street segment "Monsterpiece Theater" Alistair Cookie (Cookie Monster) introduces the audience to the thriller film, "The 39 Stairs" ("By guy named Alfred..."). Grover in a film noir setting climbs a set of stairs counting each one as he ascends. Once he reaches the top he finds a brick wall. Instead of climbing back down, Grover slides down the banister. ^ Alfred Hitchcock: Thirty-seven years after '39 Steps' Smith, Cecil. Los Angeles Times 27 Feb 1972: v2. ^ Scragow, Michael (9 July 2012). "Rewatching Hitchcock's "The 39 Steps"". The New Yorker. ^ St. Pierre 2009, pp. 62–63. ^ Spoto 1999, p. 145. ^ a b c Glancy, Mark. The 39 Steps: A British Film Guide. p. 29. ^ "Travelling at the edge of space". University of Strathclyde. 10 March 2010. Archived from the original on 10 March 2012. Retrieved 8 December 2012. ^ Pendlebury, Richard (22 February 2007). "From Hollywood starlet to wartime angel". Daily Mail. Retrieved 28 December 2016. ^ Ebert, Roger (13 October 1996). "Vertigo". Chicago Sun-Times. Retrieved 9 April 2017. ^ Sennwald, Andre (14 September 1935). "The Screen". The New York Times: 8. ^ "The 39 Steps". Variety: 21. 19 June 1935. ^ "The Thirty-Nine Steps". The Monthly Film Bulletin. 2 (17): 72. June 1935. ^ Mosher, John (14 September 1935). "The Current Cinema". The New Yorker: 87-88. ^ "Best Film Performance Last Year". The Examiner. Launceston, Tasmania. 9 July 1937. p. 8. Retrieved 4 March 2013 – via National Library of Australia. ^ Sedgwick & Pokorny 2005, pp. 79–112. ^ The BFI 100: The 39 Steps". BFI. ^ Biskind 2013, p. 156. ^ "'The thirty-nine steps' – Adaptations". National Library of Scotland. Retrieved 28 March 2017. ^ "The 39 Steps (1935)". Rotten Tomatoes. Fandango Media. Retrieved 19 February 2018. ^ "Supreme Court Takes "39 Steps" Back From Public Domain". Aplegal.com. 19 June 2014. Retrieved 27 June 2014. ^ Rapold, Nicholas (14 February 2014). "Even Good Films May Go to Purgatory: Old Films Fall Into Public Domain Under Copyright Law". The New York Times. Retrieved 3 October 2015. ^ Kirby, Walter (2 March 1952). "Better Radio Programs for the Week". The Decatur Daily Review. p. 42. Retrieved 28 May 2015 – via Newspapers.com. ^ Kachka, Boris (13 January 2008). "How 'The 39 Steps' Went From Tense British Thriller to Broadway Comedy". New York Magazine. Retrieved 29 December 2016. ^ "Her favorite [movie] is The 39 Steps, though, with Robert Donat. She knows the whole goddam movie by heart, because I've taken her to see it about ten times. When old Donat comes up to this Scotch farmhouse, for instance, when he's running away from the cops and all, Phoebe'll say right out loud in the movie—right when the Scotch guy in the picture says it—'Can you eat the herring?' She knows all the talk by heart..."
Biskind, Peter (16 July 2013). My Lunches with Orson: Conversations between Henry Jaglom and Orson Welles. Henry Holt and Company. ISBN 9780805097269. Glancy, Mark (2003). The 39 Steps: A British Film Guide. London: Tauris. ISBN 1-86064-614-X. Sedgwick, John; Pokorny, Michael (2005). "The Film Business in the United States and Britain during the 1930s". The Economic History Review New Series. 58 (1). Spoto, Donald (1999). The Dark Side of Genius: The Life of Alfred Hitchcock. Da Capo. ISBN 030680932X. St. Pierre, Paul Matthew (2009). Music Hall Mimesis in British Film, 1895–1960: On the Halls on the Screen. Madison, New Jersey: Fairleigh Dickinson University Press. ISBN 978-0-8386-4191-0. Vermilye, Jerry (1978). The Great British Films. London: Citadel Press. ISBN 0-8065-0661-X. Wikimedia Commons has media related to The 39 Steps (1935 film). This page was last edited on 16 April 2019, at 18:06 (UTC).